Thailand's conflict-wracked society is inured to violence, but the scale and targeting of Monday's Bangkok bombing has no historical precedent and analysts say it is far from the usual modus operandi of the nation's armed agitators. 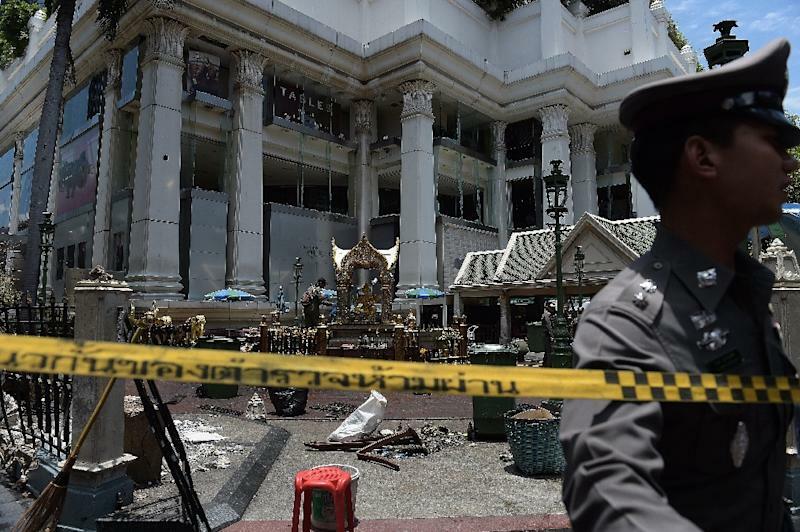 But the bomb which left at least 20 dead, the majority foreigners, at the packed Erawan shrine in the commercial core of the city has confounded many observers. Mass casualty bomb attacks on this scale are simply unprecedented in the Thai capital. And until Monday, foreigners had rarely been caught up in the country's cycle of bloodshed. Eleven of the dead were foreigners from China, Hong Kong, Malaysia, Indonesia and Singapore. A manhunt was underway Tuesday for the prime suspect -- a young man in a yellow t-shirt caught on CCTV leaving a backpack at the crime scene just moments before the explosion. Links to two primary groups are being explored: Muslim rebels from the country's insurgency-wracked deep south and hardliners on all sides of the political spectrum. "But what's so strange about this attack is it fits no-one's MO (modus operandi), neither Muslim insurgents nor anti-military groups," Zachary Abuza, an expert on Thailand's southern insurgency told AFP. "In reality I don't think you can write anyone off yet," he added. Neither group has shown an appetite for such large-scale violence, although Malay Muslim rebels in the south frequently plant IEDs and car bombs that have claimed several lives at a time and bring havoc to town centres. Insurgents are fighting for greater autonomy in the country's three Muslim-majority states bordering Malaysia annexed by Thailand a century ago. More than 6,400 people -- mostly civilians -- have died in the last decade of conflict there. Army chief Udomdej Sitabutr also told Channel 3 television however that it was "not likely" the attack was carried out by southern insurgents because the explosives used did not match their tactics. Equally, militants among the "Red Shirt" supporters of the toppled former government have favoured streetside gunfights or drive-by shootings of political rivals. In the worst bloodshed since their emergence, more than 90 people were killed and hundreds wounded during a 2010 crackdown by security forces on a Red Shirt rally in central Bangkok. They are one side of Thailand's caustic political divide that broadly pits rural and working-class voters loyal to the Shinawatra family against a Bangkok-based middle class and royalist elite, backed by parts of the military and judiciary. Pipe bombs and grenades are also favoured among both side of the political divide -- but never a blast calculated to cause so much carnage. Thai politics expert Pavin Chachavalpongpun said the Red Shirts were also unlikely to attack a religious shrine in the Buddhist-majority country where superstition and the concept of karma are deeply enmeshed in the psyche. "Judging from the scale of this assault, I think it is unlikely that the attack was fuelled by Thai domestic politics," he said. 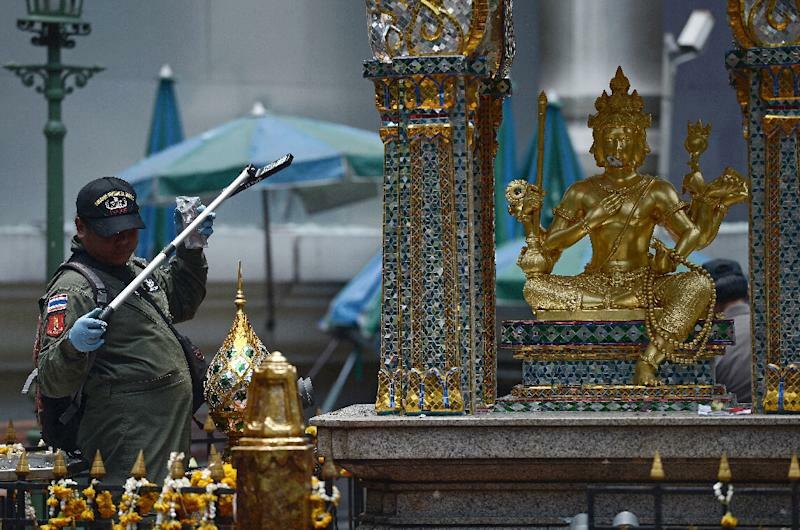 Some have speculated that the targeting of the Erawan shrine, which is hugely popular among Chinese tourists, may have been an attempt to hit back at Beijing after Thailand last month forcibly repatriated more than 100 Uighur refugees. That incident, which comes amid a warming of ties between Bangkok's authoritarian regime and Beijing, sparked widespread international condemnation and violent protests in Turkey targeting the Thai consulate in Istanbul. But while international Islamic militants have carried out many attacks in other parts of Southeast Asia, including on Indonesia's holiday island of Bali in 2002 that killed 202 people, they have not made Thailand a prime target. And Uighur militants from Muslim-majority Xinjiang, where many complain of religious and cultural discrimination, have never staged such an attack far from the Chinese mainland. Others security experts have pointed to Thailand's long history of shadowy power plays by groups linked to factions within the military. "If you want to know who might have been behind this, you have to ask who has the capability," Paul Chambers, director of research at the Institute of South East Asian Affairs in Chiang Mai, told AFP. Whoever laid the device would have known the blast would kill and maim mercilessly. Police say the device itself was sophisticated -- an estimated three kilograms of high-explosive that scattered body parts, glass and chunks of concrete across one of the city's busiest thoroughfares.